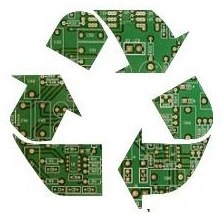 Isn't it Time to Recycle Those Old Electronics? "This Christmas, there were reportedly nearly 7 million new Android and iOS activations (between December 24 and December 25), which was largely a result of smartphone gift-giving." Great article on some resources so you know where to go to recycle, or get some cash for those electronics that you have replaced with newer, faster, better versions. I also find that putting them on craigslist seems to work pretty if they are still functional so someone else can get some use out of your newly replaced items. If they aren't functional, check with your local garbage/recycling company for ideas on where to take your non functioning items. GameStop takes iPod, iPhone trade-ins now. My mom got $88 for her 8gb iPod Touch and my ex got $120 for her $32gb Touch. This post being at the top of the Zune Thoughts front page for almost three weeks is a sad assessment of the reality, isn't it? I keep hoping for the announcement of the Windows Zune 7, the PMP to complement the Windows Phone line, graced with the enjoyable Zune interface, and blessed with the capbility to run WP apps. Alas, I believe I may be hoping for naught. I still enjoy my assorted Zunes, and use them for what they were designed for, media players. They perform that function very well, and always have.